Urban Oasis envisions the home garden as a personal Eden that is characterized by both its beauty and its harmony with the land that surrounds it, the buildings that stand on it, and the ecosystem to which it belongs. We create unique personalized landscape designs by blending architectural elements with an artistic combination of plants and artisanal components. 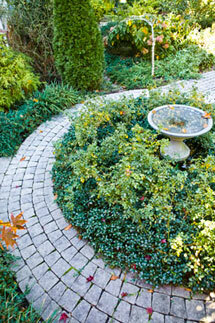 Copyright © 2013 Urban Oasis Landscape Design.